UNITED NATIONS, Jul 20 2015 (IPS) - While the economic cost of Somali piracy has fallen and considerable progress has been made in deterring pirate operations, the latest attacks on Iranian fishing vessels by Somali pirates in the Indian Ocean may be another signal that it is too early to cut back international counter-piracy efforts, according to a new report. The report by Oceans Beyond Piracy (OBP), titled “State of Maritime Piracy 2014”, underscores that due to restrictive reporting criteria, small-scale attacks on dhows and vessels are not always included in official piracy records. “[This] may hide a development that the reduced cost is masking – namely that Somali pirates still possess the means and capability – and are waiting for opportunities to strike,” it says. Conditions conducive to the development of piracy in the first place, such as illegal fishing, poverty, political instability and a lack of economic opportunities, have not been properly addressed yet, according to the analysis. As reported by the International Maritime Bureau (IMB), a specialised division of the International Chamber of Commerce (ICC), the number of pirate attacks has been steadily decreasing since Somali piracy peaked with 237 attacks in 2011. While the IMB had reported a total number of 75 attacks in 2012 and only 15 attacks in 2013, the number has fallen further to 12 attacks in 2014. Even though the actual numbers of attacks, including on dhows and foreign fishing vessels, might be higher, a significant decline in piracy over the course of the past four to five years cannot be denied. This is due to a variety of factors. Speaking to IPS, Oceans Beyond Piracy Program Director Jon Huggins highlighted in particular the efforts of the Contact Group on Piracy off the Coast of Somalia (CGPCS), which have allowed practical solutions to be developed. Created in January 2009 pursuant to U.N. Security Council Resolution 1851, the CGPCS is an ad hoc international forum bringing together countries, organisations and industry groups to provide support to international counter-piracy efforts in Somalia. Commenting on the practical solutions supported by the Contact Group, Jon Huggins identified a combination of four main mechanisms that were required to suppress piracy. He stressed that each of these mechanisms acting alone would not have proven successful. Thus, as outlined by Huggins, one major reason for the decline in piracy was the military counter-piracy operations carried out by the international community, especially EU NAVFOR ATALANTA, beginning in 2008, and NATO Operation Ocean Shield, beginning in 2009. However, as incidents of piracy kept going up, these operations were complemented by wide-ranging protection and self-defence measures and improved watch and awareness procedures adopted by the shipping industry. As recorded in the Economic Cost of Piracy report by OBP, these measures amounted to approximately five billion dollars in 2012, which represented around 85 percent of the total amount the international community spent on fighting piracy. Another major reason for the decrease in piracy, according to Huggins, was the “private maritime security” who enacted standards and procedures for the use of force by Privately Contracted Armed Security Personnel (PCASP) in the maritime domain. A fourth factor was the steady enforcement of the rule of law through an expanded prison system, including regional prosecution centres in the Seychelles and Kenya and four new prisons in Somalia built under the UNODC Maritime Crime Programme (MCP). Two weeks ago, the CGPCS convened for its 18th annual session at the United Nations in New York. Participants commended the immense progress over the course of the past four to five years as evidenced by the decline in pirate attacks, but also stressed the need for continued engagement as piracy networks remain intact and 26 persons are still being held hostage by Somali pirates. “Piracy has been contained but not eradicated,” Maciej Popowski, Deputy Secretary General for the External Action Service (EAS), said at a U.N. press briefing on the CGPCS 18th plenary meeting. Therefore, he said, a major goal of the CGPCS gathering was to “look beyond the piracy itself” and deal with a whole range of important topics related to maritime security, such as illegal fishing, migration and smuggling of human beings. 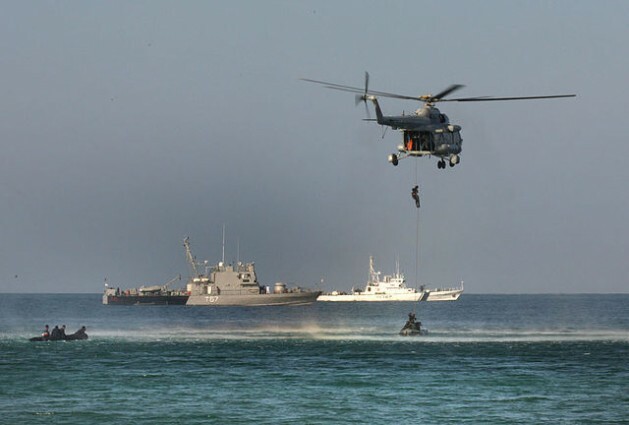 Major economic, political and societal challenges persist in Somalia that might cause setbacks or provide a favourable breeding ground for piracy in the future. According to Jon Huggins, it is vital for the international community to “maintain a minimal effort to keep the suppression going” even though this might involve major financial expenses. According to the United Nations Development Programme in Somalia (UNDP Somalia), 67 percent of Somalis aged 14-29 are unemployed. This is particularly worrisome given that over 70 percent of Somalia’s population is under the age of 30. The school enrolment rate is 42 percent, of which only a third are girls. Hence, extreme poverty and a lack of prospects for the future for the large majority of Somalis constitute persisting security challenges in the country in addition to the unstable political situation and weak governance structures. Moreover, there are fears of new threats emerging as a result of the enmeshment of pirate groups with jihadist networks. As reported by Foreign Policy, young Somali pirates in Hargeisa and Bosaso are detained in the same prisons as members of the al-Shabab militant group. “That means there’s a very real risk that impressionable, disillusioned young men could be radicalised,” it warned.